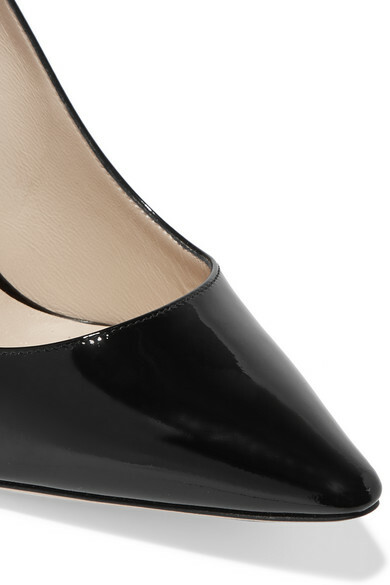 Made from glossy black patent-leather, Jimmy Choo's 'Romy' pumps are a timeless style. They are designed with a slightly softer point-toe silhouette and set on a slim stiletto heel. Wear yours to the office, as well as evening occasions. 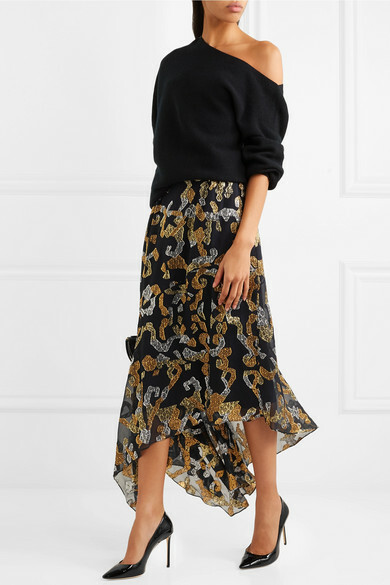 Shown here with: Peter Pilotto Skirt, Theory Sweater, Chloé Shoulder bag.